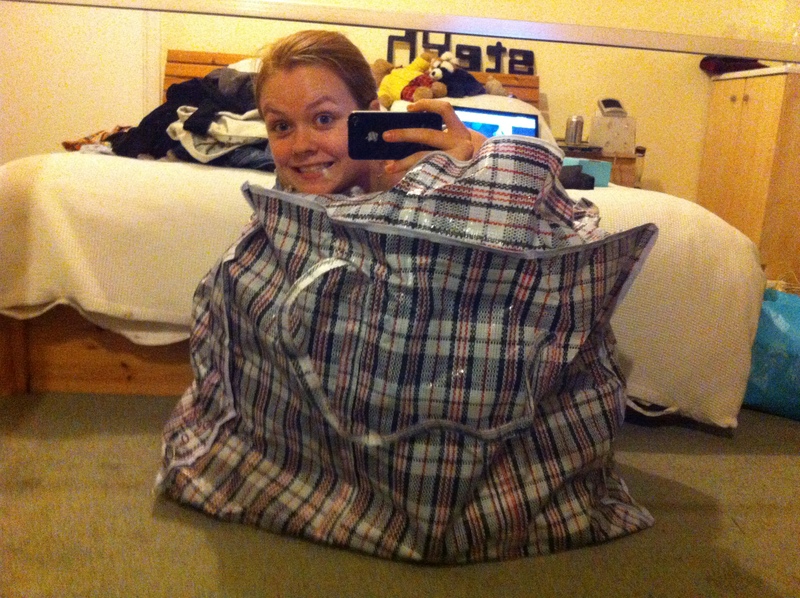 Posted this photo to my Twitter, explaining it was time for me to go to bed if my mind was wondering so much from packing I decided I’d try and fit into one of my clothes bags. I got a good response of being calling me a ‘bafoon’ and a ‘dork’. Ah well, I enjoy entertaining people! P.S I know I look completely shattered, I am! 14/07/2012 – Moving Day Montage!